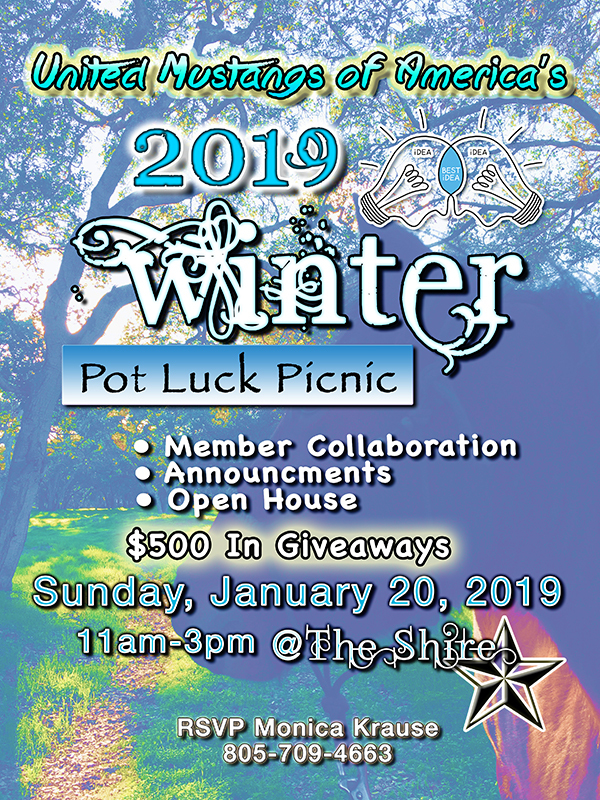 This Sunday we are having our first Winter Pot Luck. This is a time to get together with fellow equestrians who desire to further their education in horsemanship. Students and club members will have the opportunity to share ideas, collaborate, learn about and sign up for future events. Meet our horses, watch demo and hear from students how UMA has helped them with their horsemanship. There will be $500 in prize giveaways! Join in on the fun and win! Together lets make 2019 the best year for United Mustangs of America, our horses and horsemanship experience and education! 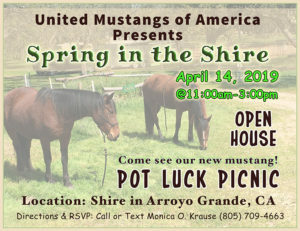 POT LUCK! Bring your favorite dish! Drinks, plates and utensils will be provided.